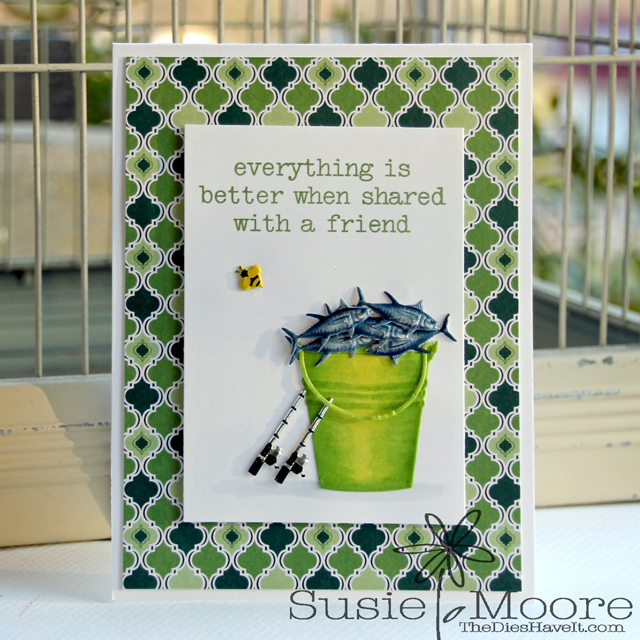 I thought I'd make a masculine card for this month's Eyelet Outlet Color Challenge. I die cut my little bucket and then filled it with fish (brads) and then leaned some fishing pole (brads) next to it. I just love the way it turned out.